On Thursday, November 16, George Alvin, VP/Treasurer of the Alyssa Alvin Foundation for Hope, delivered Alyssa Starter Art Kits to the Johns Hopkins All Children’s Hospital in St. Petersburg, Florida. George put the kits together the night before and as he was doing so, he imagined the children and young adults who would receive one of these kits. He hoped that these kits would help ease their minds a bit and bring them some respite from their current situation. Upon entering Johns Hopkins All Children’s Hospital, George met with Teresa from Child Life who accepted the delivery of the SAKs. Teresa was grateful for the SAKs and stated they would be welcomed by the children receiving treatment at the hospital. The second delivery of Alyssa Starter Art Kits (SAKs) was made to the Ronald McDonald House (RMH) East near Johns Hopkins All Children’s Hospital on Sunday, November 19. 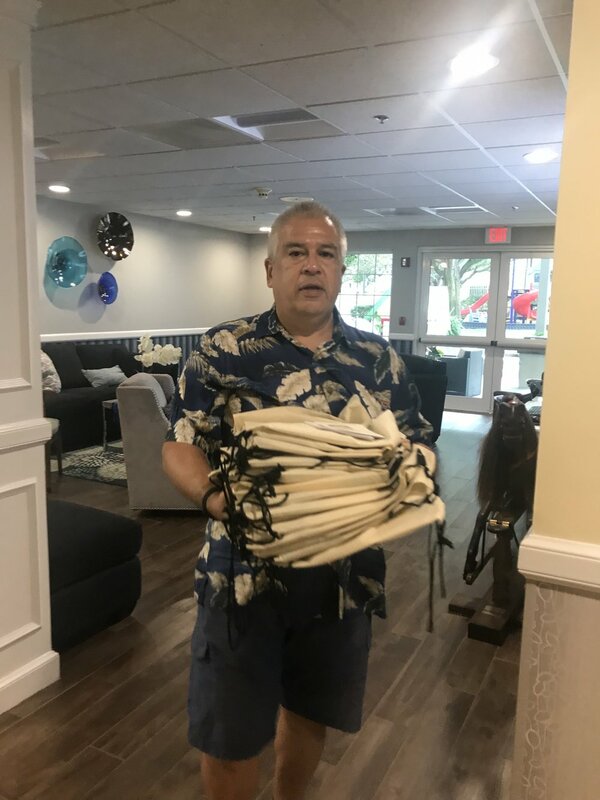 Danny Guerrero, AAFH Volunteer and Alyssa’s cousin, along with George and Yoli, Alyssa’s parents, met with Stania Smida of the RMH East staff to deliver 44 Alyssa SAKs. The delivery included a variety of art kits such as adult coloring books, drawing kits, Sculpey clay and Mona Lisa art kits. As the season calls for, we are thankful that we can share Alyssa’s love for the arts with others.